Max Dennis travels all the way from New York City to fish with Capt. Kelly Bryce on the MARJORIE ANN. He's an avid fisherman with two other HFN state records under his belt. 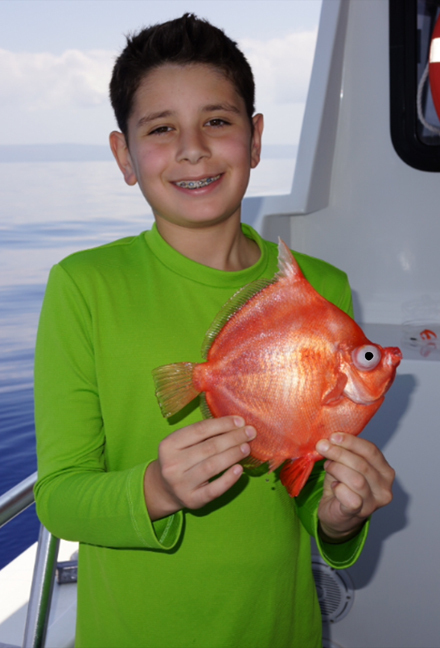 Max caught his 1.1-lb deepbody boarfish in 123 fathoms of water using 20-lb test line and ika for bait.